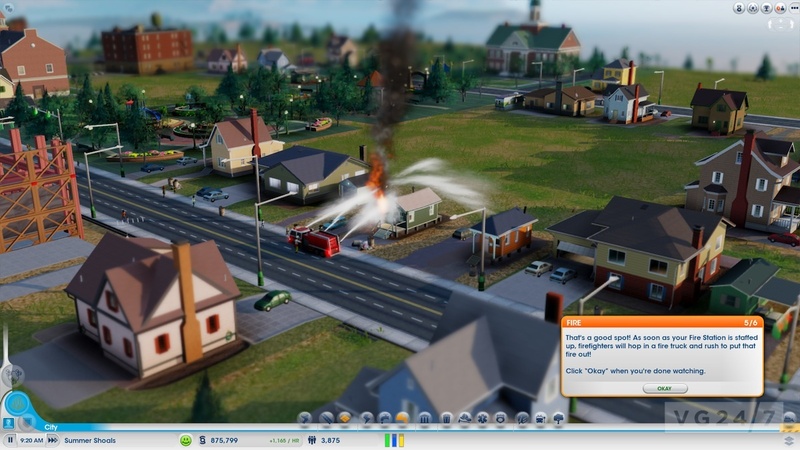 Stace Harman gets to grip with SimCity and invites you to learn from his mistakes. Impressions and new screens inside. SimCity marks the sixth core SimCity title on PC, the first dates back to 1989. 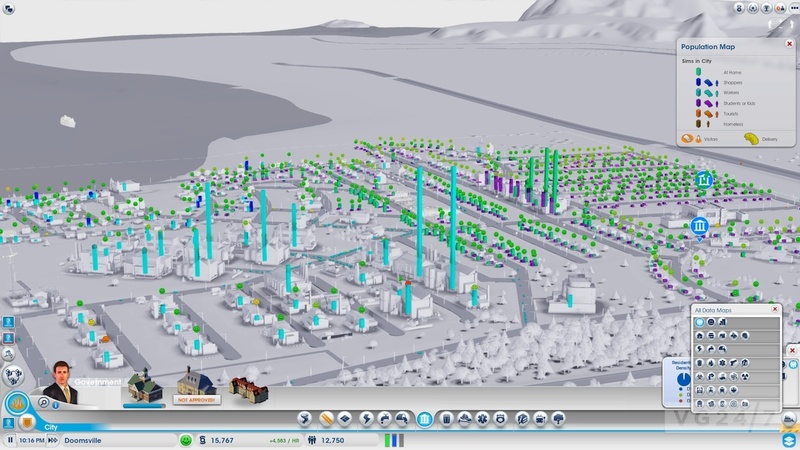 EA and Maxis created SimCity using GlassBox, a data-driven simulation engine capable of tracking the comings and goings of up to 100,000 Sims in each city. Regions will contain up to 16 cities to promote a multi-city approach and encourage multiplayer co-operation. A wry sense of humour permeates SimCity, as evinced by the name of commercial businesses like SIC Proofreading and Curl-up and Dye. See also the screenshots below. 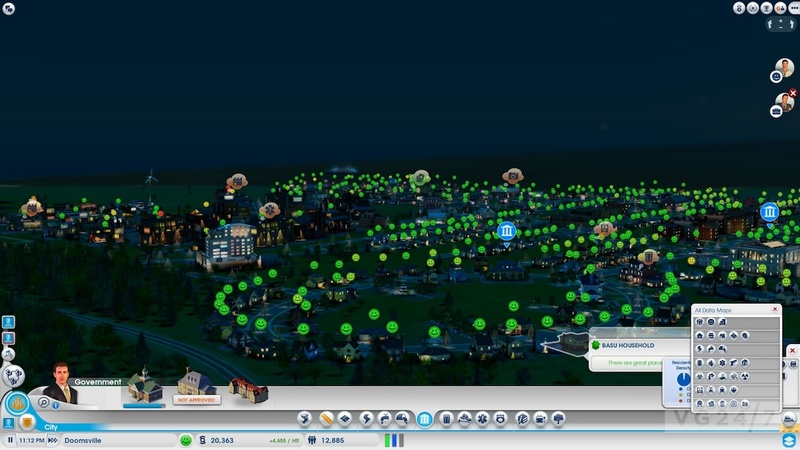 SimCity recently underwent a round of beta testing, it is set to launch on PC in March and on Mac in “Spring 2013”. 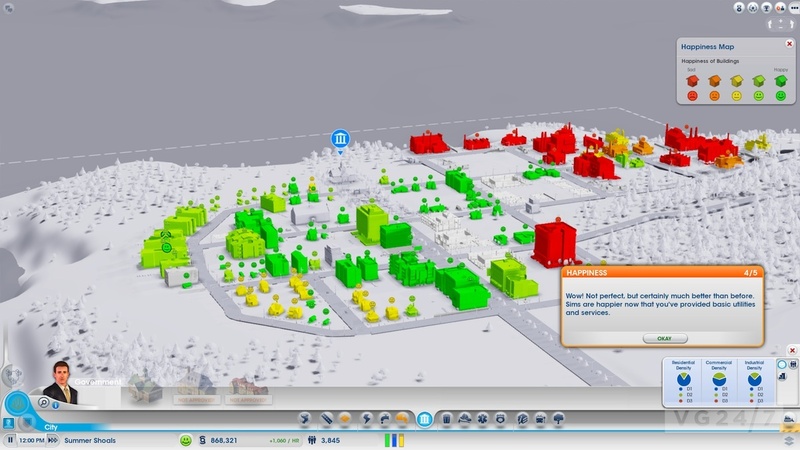 It would surely behoove the leaders of the free world to spend some time dabbling with SimCity. 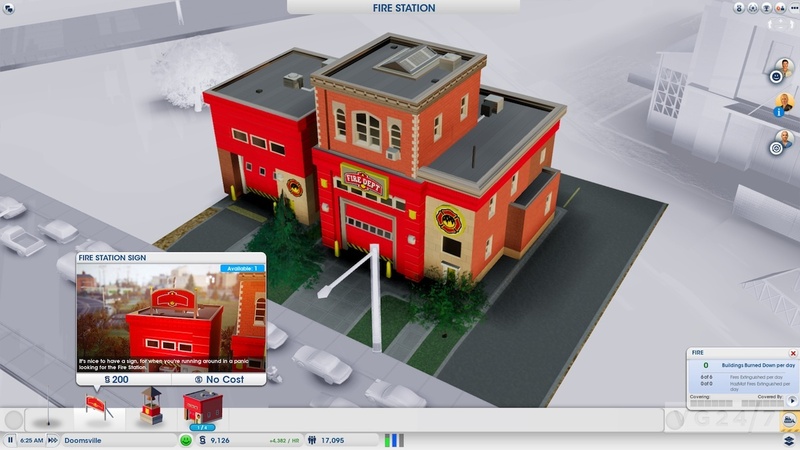 One of the key design tenets of Maxis and EA’s 2013 iteration of the city-building experience is that “everything you can see, we Sim”. Personally, I can think of few better ways for government officials to peer into the future and watch the ripple-effect of their fundamental decisions play out. Thinking of putting the squeeze on your majority middle-class citizens, business owners and pioneers of industry? 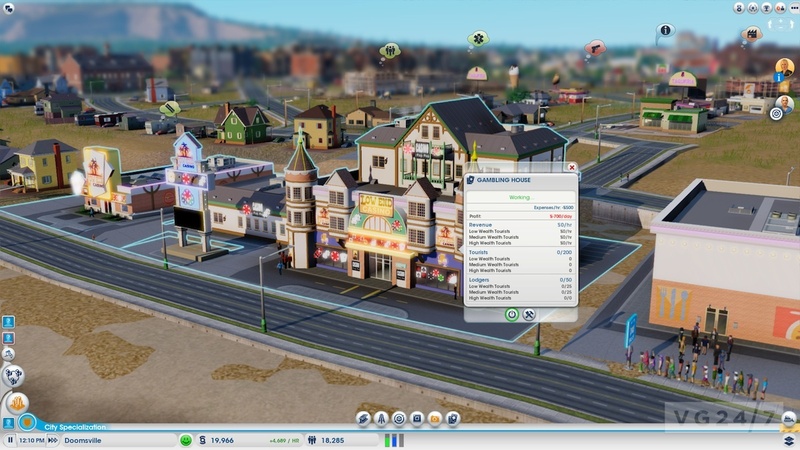 SimCity will let you find the tax-percentage tipping point where they go from grumbling about conditions to upping sticks and moving away. Toying with the idea of under-funding the education sector and forgoing basic emergency services infrastructure? Watch how your dim and desperate constituents turn to a life of crime or accidentally set themselves and their neighbours alight. Oh, and if you’re wondering what could possibly go wrong if you were to press the Big Red Button that unleashes a giant, mutant lizard upon your populous; well, why don’t you just go ahead and find that one out for yourself. Suffice to say that every decision you make as mayor in SimCity will affect the happiness, productivity, safety or livelihood of your simulated-citizens. It’s these Sims that simultaneously provide the basis of your biggest challenges and the driving catalyst for change and expansion. They are the reason for the painstaking layering of increasingly complex systems and facilities in order to transform your city from a sparse, no-thrills mishmash of residential, commercial and industrial sectors into a bustling, powerhouse metropolis. With so much to consider, it can be daunting to sit down with SimCity for the first time and stare at that blank slate of verdant land atop which you’ll build a city. It’s easy to imagine that a misinformed decision early-on will doom your entire city-state. 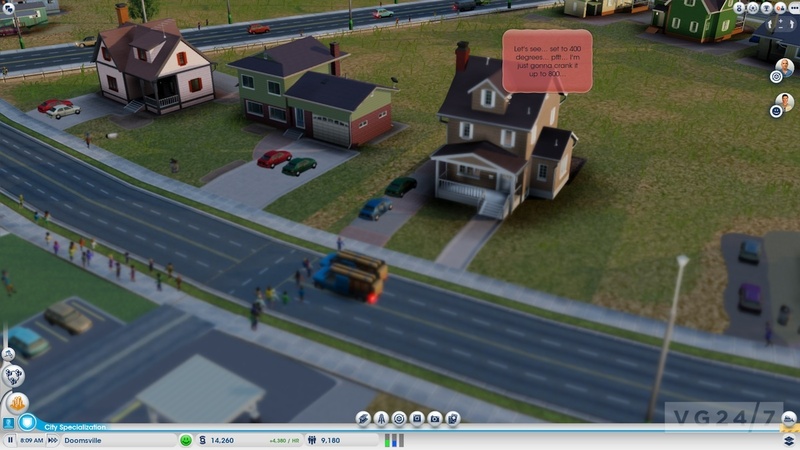 Thankfully, a large portion of my own first hour’s play is spent being eased-in by the tutorial, which teaches the importance of basic concepts like population density, effective waste management, and striking the balance between the three core components for a successful city: Residential, Commercial and Industrial (RCI). 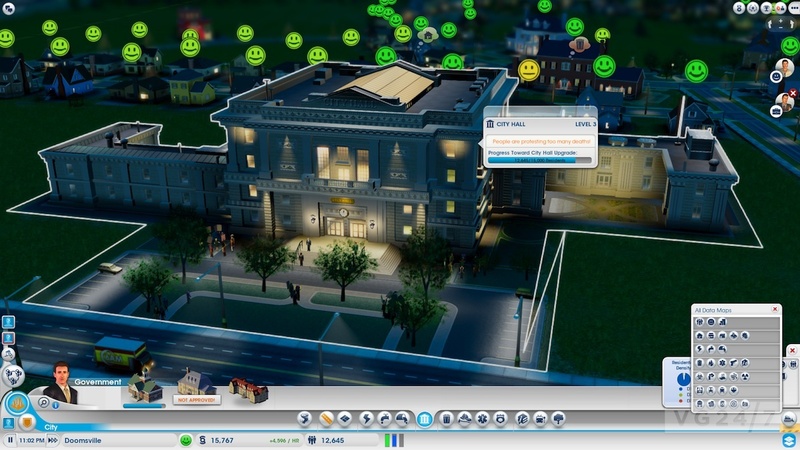 The tutorial has a soothing feedback loop in which the issues of a pre-existing city are highlighted before it teaches you how to deal with them. Initially, it’s hard not to carry this reactionary mentality over to the game proper. It’s easy to overlook the need for rubbish collection and waste management until your ever-vocal Sims are falling ill on the detritus-strewn streets. Similarly, plans for rapid expansion will falter until wider roads are constructed to accommodate higher-density housing, followed by the public transport infrastructure required to alleviate the increasingly congested roads. trailer merely scratched the surface. But it’s still rather ace. Little by little, lessons are learned, neighbourhoods take shape and a city’s commercial sector becomes increasingly profitable. It occurs to me as I’m surveying my handiwork of a morning’s steady progress that perhaps parallels can be drawn between playing SimCity and designing the game in the first place: a measured layering of components that has no natural end point and that it’s difficult to stop adding to. “That’s pretty much spot-on.” responds Kip Katsarelis, lead producer at Maxis. “It’s layers on top of layers and systems on top of systems. You start out with the basic RCI and density components and, really, there’s initially no game there, just a lot of paper designs. Feeling that my burgeoning city is at a crossroads where the next few decisions could tip the balance toward either greatness or ruin, I decide to back-off and investigate the potential of a multi-city set-up and the possibility for city specialisation. I’m playing on a small map type, with three city sites available to claim and so I head to a region in the hills that has been earmarked for development. I have grand plans to create a mining town that will have little in the way of luxury but will capitalise on abundant natural resources like coal and oil. My idea is that it can be a city specialising in power supply, used to solve the power-needs of neighbouring cities that will pay for its services and whose citizens will commute to for work. The ultimate goal is to facilitate the development of a tourist hotspot at the third city-site in the region, a natural bay ripe for high-priced hotels and leisure complexes. Unfortunately, my dreams are quickly scuppered and my new town is half-built before I realise my mistake. After failing to adequately review the readily available data-maps that reveal the concentration of underground resources, I’ve gone and built myriad roads and basic lodgings where my drills and mines should be located. Lacking the financial clout to rectify my bad decisions, I must reluctantly abandon my plans until my original city is profitable enough to fund a rescue project. Come the end of a six-hour play session, I’m left feeling like I’ve achieved something (with one of my cities, at least), I’ve also learned a lot and it’s clear that I’ve only just scratched the surface. 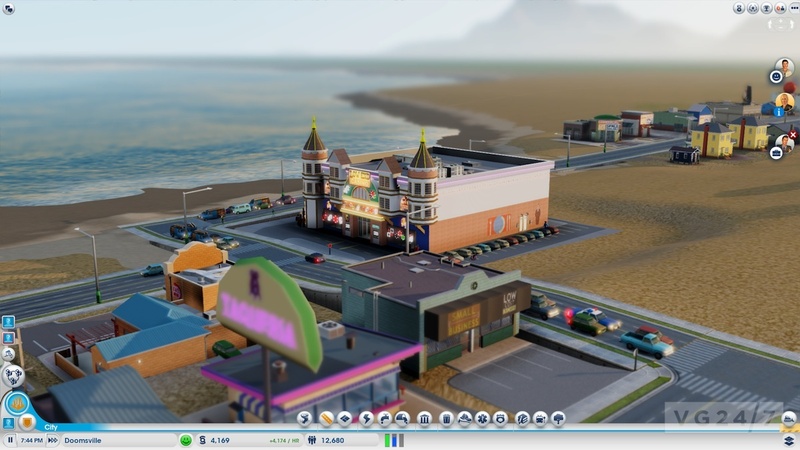 Like all the best time-sinks, it feels like there’s always something to do and if you have hours to spare of an evening or weekend, SimCity will happily fill all of them. Even when away from the PC, I ponder the effect that the micromanagement of my city will have on its own prosperity and that of its neighbours. Ultimately, I hope one day to return to my abandoned mining town to rectify my mistakes. In the meantime, if we can get the leaders of the free world to sit down with SimCity for a few hours, perhaps they could learn how to make the world a better place. Or maybe they’d simply plump for hitting that Big Red Button and unleashing, giant mutant lizards upon their unruly citizens. Actually, that sounds like it could be fun. 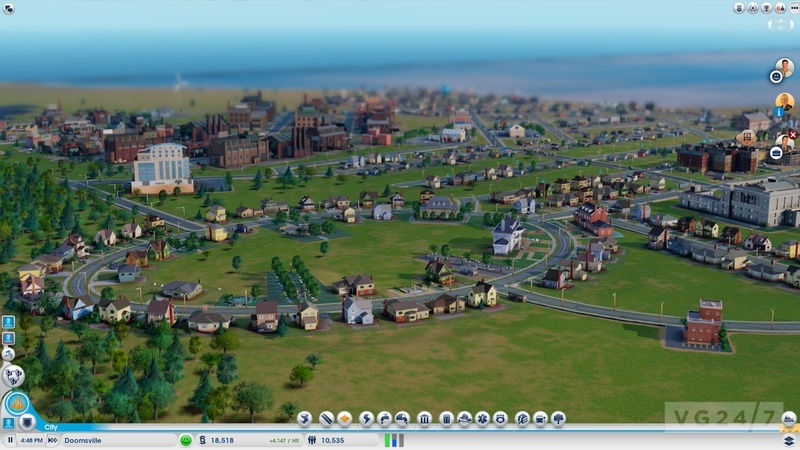 SimCity launches for PC on March 5 in the US and March 8 in Europe. Stace spent six hours with EA and was provided with lunch, tea and coffee.